Join the Massive Open Online Course (MOOC) to explore how communities in transitioning economies around the world are working to enable the growth of entrepreneurship when the resources from the private sector alone are limited. This course is free of charge and open to everyone. •	Join our MeetUp to discuss the implementation of the course’s ideas in the Czech Republic. Meet with Czech StartUp experts who will share their experience. We are starting on Tuesday, May 6, 4 pm at the American Center. Send an email expressing your interest in “StartingUp” to acprague@state.gov by April 29, 2014. Please, include: your name, your age, your current job. If you are a student, please, list your university, department and area of study. Please, include a letter of motivation no longer than one paragraph. Michael Goldberg is a Visiting Assistant Professor of Design and Innovation at Case Western Reserve University's Weatherhead School of Management where he teaches courses on entrepreneurship. He is also a Co-Founder and Managing Partner of the Bridge Investment Fund L.P., a venture capital firm that invests in Israeli medical device companies. Goldberg has spent his entire career structuring and implementing global business operations. He was the Director of International Business Development for America Online, Inc. responsible for structuring and negotiating international joint venture partnerships. He worked on numerous investment opportunities for AOL in strategic international markets in Asia, including the formation of a U.S. $200 million joint venture in China with Legend, China's largest PC manufacturer. He also worked in business development for Microsoft and the International Management Group. Goldberg earned a BA from the Woodrow Wilson School of Public and International Affairs at Princeton University, an MA in International Relations from the School of Advanced International Studies (SAIS) at Johns Hopkins University and an MBA from The Wharton School at the University of Pennsylvania. While participating in the online course, the American Center offers you the unique opportunity to go deeper. Every week following the online lecture, you will have a chance to discuss the course content with Czech entrepreneurs who will enable you to transfer the theory into practice. You can ask questions! Learn more! Engage! And meet inspiring people with the same interests! In addition to earning online credit through Coursera for successfully completing the class you will be awarded a certificate from the U.S. Embassy in Prague during a graduation ceremony in June. 6. WHO QUALIFIES FOR A CERTIFICATE? A person will qualify for a certificate if they attend at least 5 sessions and actively participate in the discussions. We will meet every week during the course at the American Center or at another location in Prague. We will invite special guests to share their experience and lead the discussion for each session. The graduation ceremony will take place in June. 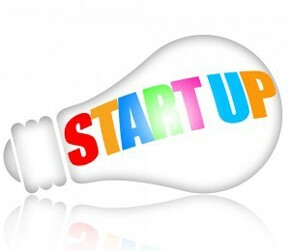 Send an email expressing your interest in “StartUp” to acprague@state.gov. •	Please, include your name, your age, and your current job. •	If you are a student, please list your university, department and area of study. •	Please, include a motivation letter no longer than one paragraph. Hurry up, the number of seats is limited.